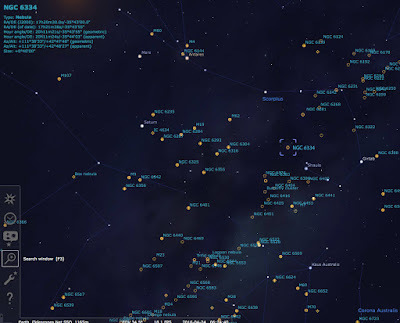 The night sky offers many wonderful deep-sky objects to observe and image. 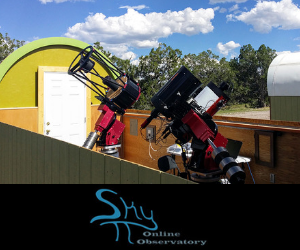 As the staff of Insight Observatory started compiling a small catalog of deep-sky wonders for demonstration purposes to present to a local public school district, they figured it would be essential to include some of the less known deep-sky objects as well as the more popular ones. Browsing through the night skies at Siding Spring, Australia via the planetarium software, Stellarium, we came across NGC 6334 also known as the "Cat's Paw Nebula" in the constellation Scorpius. NGC 6334 - "Cat's Paw Nebula" - Imaged by Insight Observatory. The image was acquired remotely from our offices in Massachusetts at a remote telescope network Insight Observatory utilizes located in Siding Spring, Australia. 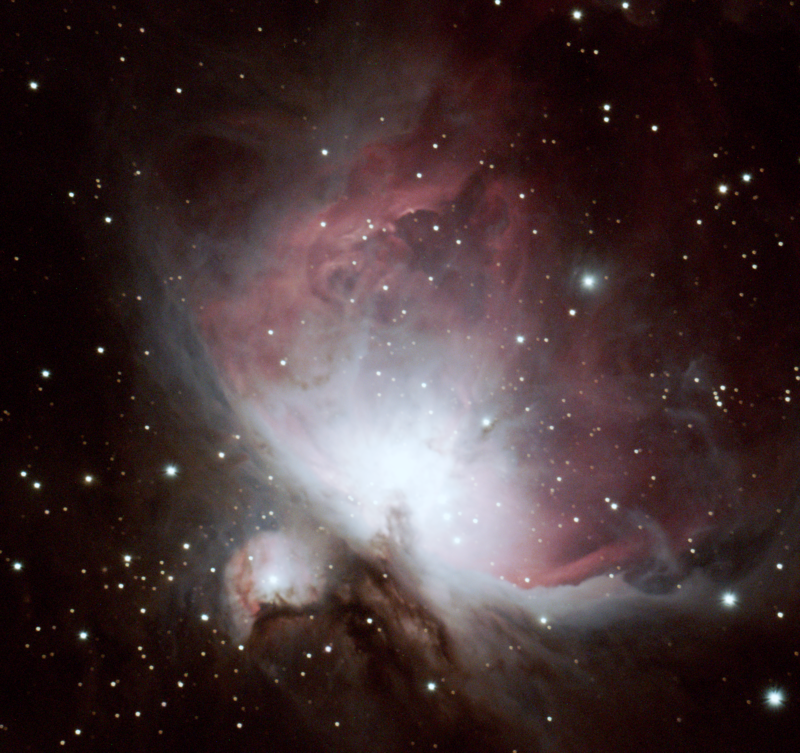 The 10-minute exposure was taken using a Takahashi Sky90 (90 mm) telescope with an SBIG Wide-Field Color CCD camera attached. The image was then processed with PixInsight and Adobe Photoshop. NGC 6334 (also known as the Bear Claw Nebula and Gum 64, besides the Cat's Paw Nebula) is what's known as an emission nebula and star-forming region located in the constellation Scorpius. The nebula was discovered by astronomer John Herschel in 1837, who observed it from the Cape of Good Hope in South Africa. The nebula is about 50 light-years across and covers an area on the sky slightly larger than the full Moon. The emission nebula lies at an approximate distance of 5,500 light years from Earth. It is one of the nearest H II regions to the solar system. The large glowing cloud earned the nickname "Cat’s Paw" because it resembles a huge paw print of a cat. The nebula is a perfect example of an active stellar nursery (similar to M42, the "Great Orion Nebula). 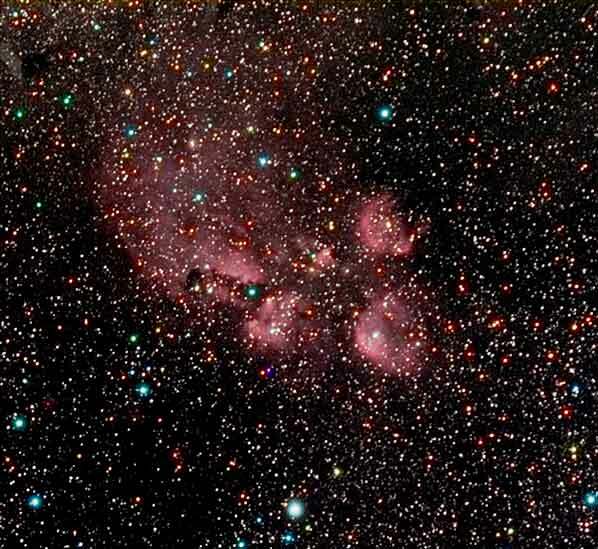 A study conducted by researchers from the Harvard-Smithsonian Center for Astrophysics and released in 2013 suggests that the Cat’s Paw Nebula may be undergoing a stellar “baby boom,” a period of rapid star formation. NGC 6334 is a realm of extremes. The object contains about 200,000 suns' worth of material that is coalescing to form new stars, some with up to 30 to 40 times as much mass as our Sun. It harbors tens of thousands of newly formed stars, more than 2,000 of which are very young and still trapped inside their dusty cocoons. 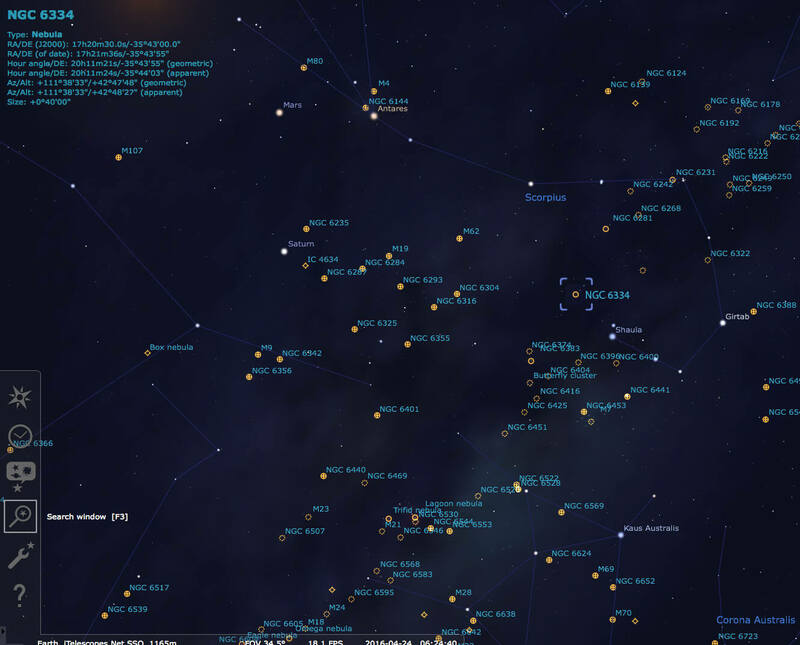 Most of these stars are forming in clusters where the stars are spaced up to a thousand times closer than the stars in the Sun's neighborhood. In the future, NGC 6334 will resemble multiple Pleiades star clusters, each filled with up to several thousand stars. Unfortunately, it won't look as impressive as the Pleiades (Messier 45) to Earthbound telescopes because it is more than ten times farther away, at a distance of 5,500 light-years, and its location in the galactic plane obscures the region behind a lot of dust.